MINNEAPOLIS, MN--(Marketwired - Dec 5, 2016) - Fish & Richardson today announced that John Dragseth, principal and co-chair of the firm's Appellate Group, has been named a "Litigation Trailblazer" by The National Law Journal (NLJ). 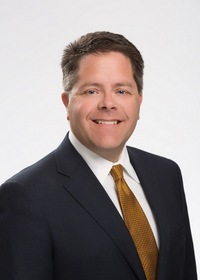 Dragseth, who has led the briefing on more than 60 appeals to the U.S. Supreme Court and U.S. Court of Appeals for the Federal Circuit, was one of 50 attorneys recognized by the NLJ that have shown "a deep passion and perseverance in pursuit of their mission" and "achieved remarkable successes along the way." The NLJ selected Dragseth for his impressive work "convincing the U.S. Supreme Court and en banc Court of Appeals for the Federal Circuit to make new law." In Mayo v. Prometheus, Dragseth and his team convinced the Supreme Court to unanimously and fundamentally change the law of how to determine whether a particular type of invention is patent-eligible. Looking ahead, Dragseth sees international trade cases taking center stage at the Federal Circuit if the administration follows through on campaign promises. "It all goes through the Federal Circuit," said Dragseth. John Dragseth, a principal at Fish & Richardson and co-chair of the firm's Appellate Group, has been named a "Litigation Trailblazer" by The National Law Journal. Attorneys were recognized for having "shown a deep passion and perseverance in pursuit of their mission, having achieved remarkable successes along the way."